There was a fairly interesting, albeit extremely annoying, bug discovered within Apple’s iOS platform earlier this month. A number of inquisitive users discovered that if they set the system date on an iPhone or iPad to January 1st, 1970, and then rebooted it, it would be rendered useless by getting stuck in a boot loop and bricking the device. It was discovered that the bug was exclusive to 64-bit devices only. As expected, Apple has acted relatively quickly to fix the issue – rather than continuing to go through the process of replacing or fixing affected devices via Apple Store appointments – with the fourth beta version of iOS 9.3. 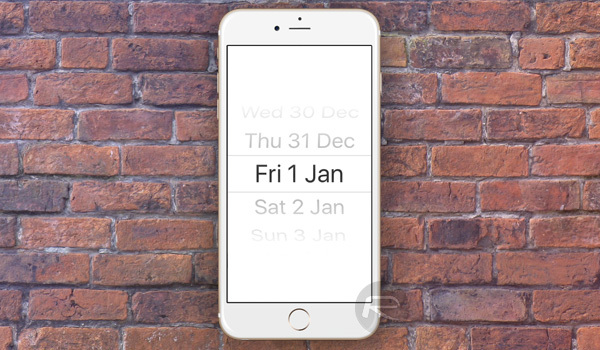 This particular iOS bug may only come into play when a user explicitly decides to manually change the date on the iPhone or iPad, but it’s still something that couldn’t be allowed to exist within the iOS ecosystem. When the issue first become public knowledge, Apple took the opportunity to publish a dedicated support page for the bug, promising to rectify the issue with an upcoming update to iOS. At that time, it was unclear whether or not the Cupertino-based company would utilize the ongoing iOS 9.3 pre-releases to fix the issue, or wait for a major public release. It seems that the company has chosen the former as preferred solution. Certain users have discovered that a software restore via iTunes to the latest iOS 9.3 beta 4 now forces the device out of the boot loop that it was once stuck in if the date had been changed to January 1st, 1970. Prior to this release, any 64-bit that was affected by the date issue would not respond to a firmware restore via iTunes, and would still continue to go around in circles as part of the boot process. Additionally, Apple has also taken the opportunity to apply some restrictions in iOS 9.3 beta 4; users are now unable to set the date back any further than January 1st, 2001, which should prevent this issue from reoccurring going forward. 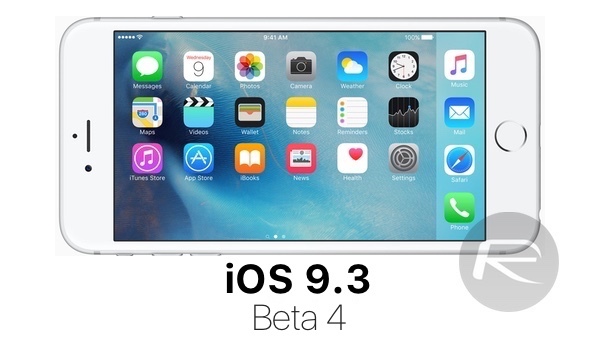 Apple’s recent release of iOS 9.3 beta 4 continues the development of the platform as it looks to go live with a public release in spring. Recent changes include a new Night Shift icon, as well as set of new star icons that live beside track names in the native Music app. And of course, a few under-the-hood bug fixes to prevent issues like this annoying date bug from happening again. i cant download the update OTA. Happened since beta 2. It does not appear when i open software update. am i the only one? Download the profile from the beta site again. I had no problems with all betas.